You traditional product, this type of roofing system has been around, literally, for centuries. Two general types: shake and shingle. 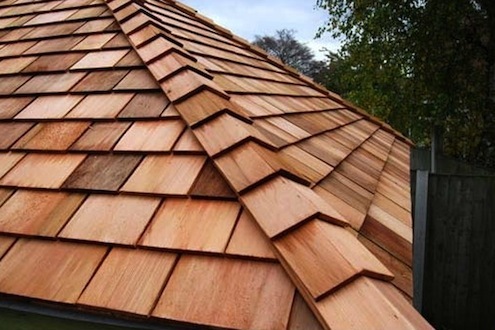 Shingle is a clean cut product, milled on both sides and generally thinner. Shake is only flat on one side while the face is split with the natural grain of the wood.